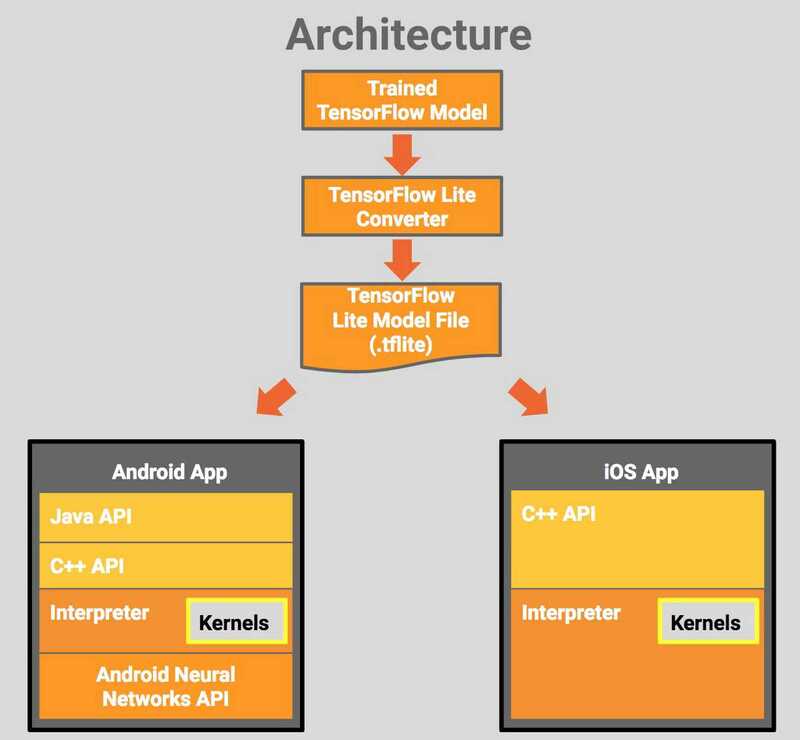 TensorFlow Lite is a lightweight version of TensorFlow that has been specially designed for mobile as well as embedded solutions. The feature that differentiates it from its counterparts is that It successfully allows the enabling of on-device machine learning along with low latency and small binary size that in turn makes it even faster. Alongside the framework was basically also designed in order to produce lighter-weight machine learning models that can run quickly on mobile devices, also while still allowing developers to build using the popular Google’s open source framework: TensorFlow along the way, thus adding to its advantage even more. Very specifically Created for the deployment of AI in mobile devices, TensorFlow Lite comes all set and prepared in order to allow the deployment of some premade models, such as Smart Reply for suggested responses, MobileNet and also Inception-v3 for object identification with computer vision for that matter. The open source framework has made use of many new techniques in order to achieve low latency performance for example say optimizing kernels, quantized kernels that allow smaller as well as faster fixed-point math models, and in the future, also leverage specialized machine learning hardware to as a result get the best possible performance for a particular model on a specific device. 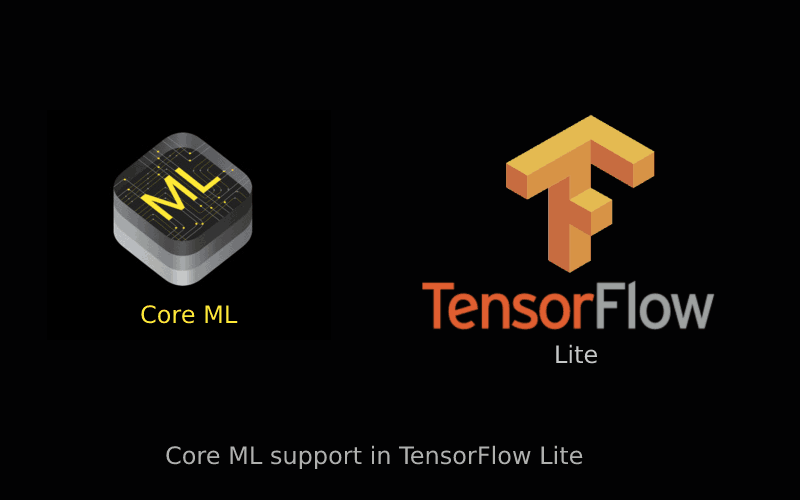 In accordance with the same, Google recently collaborated with the giant of tech Apple according to a Google developers blog post and also announced a support for Core ML in TensorFlow Lite. The Support for Core ML has been made to be provided through a tool that takes a TensorFlow model and then further converts it to the Core ML Model Format i.e. mlmodel. Core ML mainly aims at providing an optimized execution environment for the deployment of AI services like natural language processing(NLP) or object identification to iOS applications. Therefore, Though this new way, iOS developers can now enjoy the benefit of the strength of Core ML for deploying TensorFlow models. Talking further about Core ML, Core ML is a software framework that is widely used in Apple products may it be Siri, Camera etc. Core ML has been optimized for increasing device performance as it minimizes memory usage as well as power consumption. Just similar to TensorFlow Lite, it aims at tackling one of the key problems that arise with machine learning computation on mobile devices that is: Even though models can produce intelligent results, they also in return often require a great deal of computation power that can run slowly on devices and consume a great deal of our precious battery, to boot. And overcoming the same, Core ML, very seamlessly successfully takes advantage of the CPU and GPU in order to provide maximum performance and efficiency. Also, adding on, one can also run machine learning models on the device, so data doesn’t need to leave the device in order to be analyzed. Also a part of the Core ML update also includes the feature where developers can now also create custom layers for models that run on devices running iOS 11.2 or higher, and the 16-bit Floating Point support is now available for neural networks as well, which when computed can greatly reduce the size of AI models, according to an Apple spokesperson. The announcement of Both Core ML and TensorFlow had been made in this spring at their respective developer conferences for Google and Apple. And Google will therefore still support the creation of cross-platform models that can be run on both iOS as well as Android through TensorFlow Lite and its custom .tflite file format.